At the grand finale of Miss Supranational 2017 held in Krynica-Zdroj, Poland Jenny Kim from Korea was crowned the main winner. She was crowned by the very beautiful Srinidhi Ramesh Shetty of India. 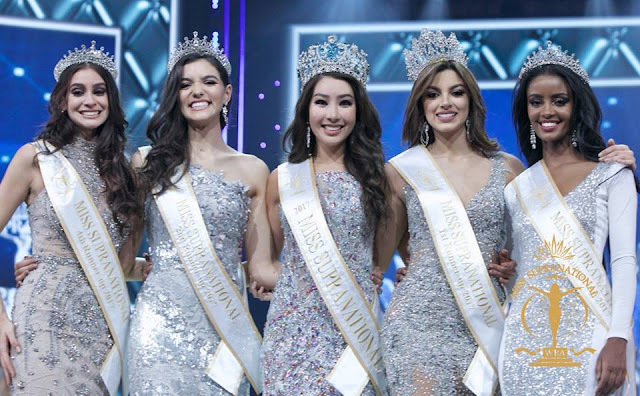 Altogether 65 contestants from across the globe participated at the prestigious pageant with Jenny Kim emerging victorious. At the same pageant Martha Martinez from Columbia was crowned 1st runner up, with Bianca Tirsin from Romania being crowned the 2nd runner up. Bitaniya Josef from Ethiopia was adjudged 3rd runner up, while Larissa Santiago was crowned the 4th runner up. The finale of the pageant commenced with all the finalists of the pageant parading in their national costumes with great style and panache. In the end, it was Miss Panama who won the award for the best National costume which was presented by Mister Supranational 2016 Diego Garcy. The National costume round was followed by the first musical performance of the night. Next up was the swimwear round which commenced with the introduction of Miss Germany Mona Schafnitzl walking down the ramp with great poise and precision. The finalists looked absolutely stunning donning their swimsuits which was one of the highlights of the finale. Next up, we had all the finalists walk the ramp for one last time before advancing to the next round which was Top 25. The finalists also sang the song Eye of the Tiger in unison for one last time before taking centre stage as the confirmed Top 25 finalists for the evening. The top 25 commenced with Indonesia being bestowed with the Fan's Choice Award. 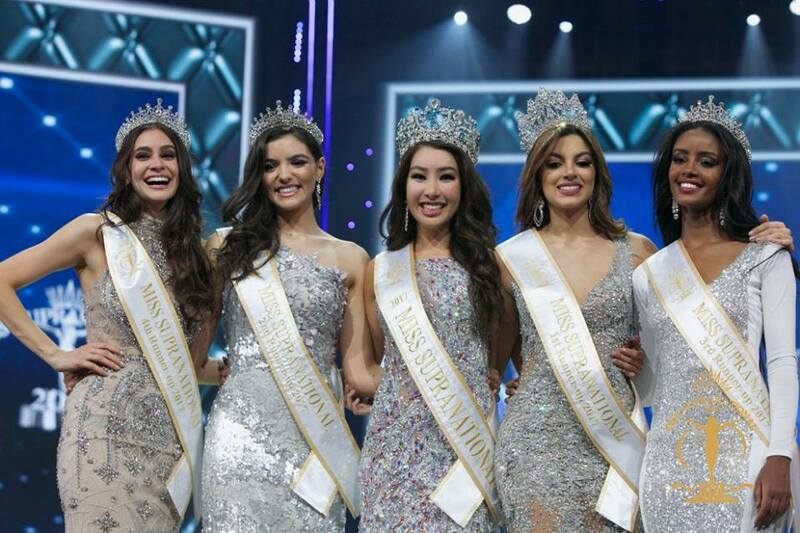 The other contestants who made the cut include Miss Vietnam, Miss Albania, Miss Ethiopia, Miss Brazil, Miss Korea, Miss Poland, Miss Thailand, Miss Portugal, Miss South Sudan, Miss India, Miss Serbia, Miss Mexico, Miss Columbia, Miss Costa Rica, Miss Australia, Miss Italy, Miss Philippinness, Miss Romania, Miss Wales, Miss Peru, Miss Japan, Miss Jamaica, Miss Bolivia, and Miss Puerto Rico. Moving ahead with performances the audience then witnessed a splendid show from Dancing With the Stars which was one of a kind. Next up, was the announcement for the Top 10 finalists in which Miss Columbia, Miss Ethiopia, Miss Korea, Miss Poland, Miss Romania, Miss Philippinnes, Miss Puerto Rica, Miss Thailand, Miss Portugal, and Miss Costa Rica made the cut towards the next round. In the special awards category Portugal was adjudged winner of the talent round wherein the award was presented by Mister Supranational 2016 Diego Garcy. The evening went on, as the Top 10 finalists then walked down the ramp in their stunning evening gowns looking stupendous. Later on, the Top 10 contestants were further narrowed down to Top 5. In the end it was, Miss Columbia, Miss Korea, Miss Puerto Rico, Miss Romania, and Miss Ethiopia who inched a step closer towards the crown. In the end, Jenny Kim from Korea was crowned as the winner of Miss Supranational 2017. 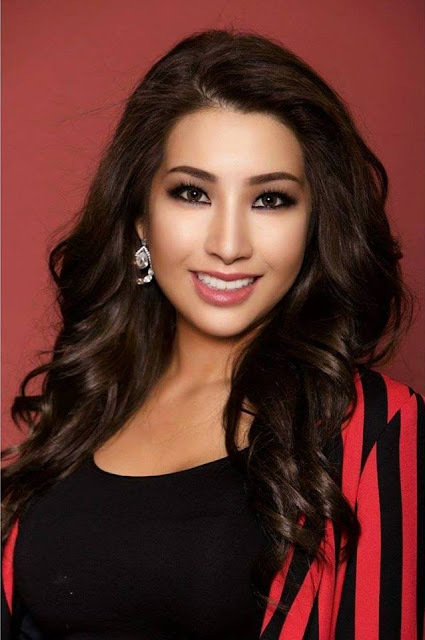 India's Peden Ongmu Namgyal made it to the Top 25 of the prestigious pageant. The show hosted by Davina Reevs and Ivan Padrez was quite an eventful event which ultimately concluded with the announcement of the winners and runner ups.